All hearing tests are performed by certified audiologists which is not always the case everywhere that you go. The minimum academic requirement for an audiologist is a Masters Degree. Our audiologists have either a Masters degree or AuD, which is a clinical doctorate. 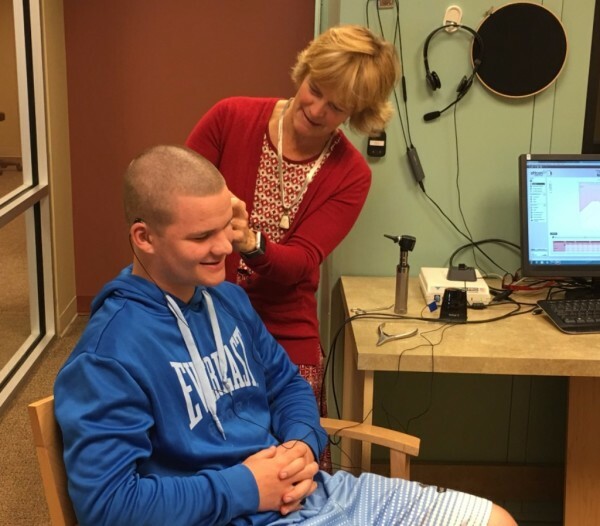 Why is it important to be tested by an audiologist? There are many reasons, but the main reason is to make sure that there is nothing about your hearing loss that needs medical management. Hearing loss can be attributed to many medical conditions and there are specific tests that can be administered by an audiologist that can help the physician, ENT or otologist in determining if there is anything that can be medically treated, or if there is any contraindication for wearing a hearing aid. 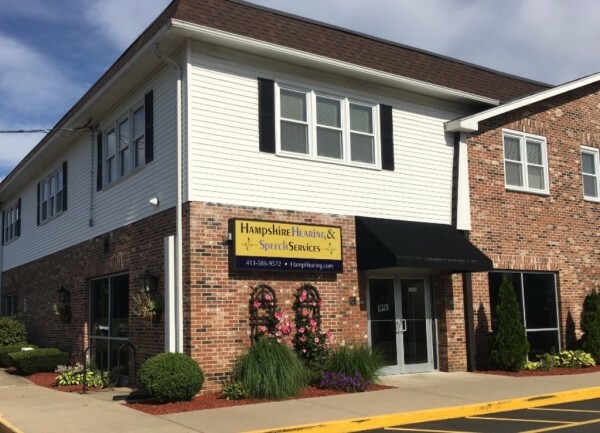 At Hampshire Hearing and Speech Services, we have the expertise and equipment to thoroughly examine your hearing. Treating your hearing loss will greatly improve your quality of life. Basic Comprehensive Audiometry: Determines the degree of hearing loss using pure tones and word recognition testing. Otoacoustic Emission (OAE) testing: Assesses the functioning of the outer hair cells of the cochlea. OAEs are often used for infants or patients who are unable to respond to basic comprehensive audiometry. Acoustic Immitance Testing (tympanograms, acoustic reflex testing): determines Eustachian tube functionality and is often used to find out if there is fluid behind the eardrum. Visual Reinforcement Audiometry: Usually used with toddlers, this hearing test uses a visual display that provides positive reinforcement for looking for the sound source. Conditioned Play Audiometry: This hearing test, usually for young children, uses toys, blocks, cards or other objects when responding to sounds. Real Ear Hearing Aid Test: Used to validate hearing aid fittings by ensuring proper audibility. 2CC Hearing Aid Test: A variety of tests that determine the functionality of hearing aids, including output, gain and battery drain. If you suspect you may have hearing loss, don't wait. Schedule an appointment for a complete communication needs assessment. We offer aural rehabilitation available to patients and their families on topics such as: effective communication strategies, causes of hearing loss, effects of hearing loss, and more. We also have an adult cochlear implant support group that meets in the evening on a monthly basis. We provide counseling and advice to decide if you are a good candidate for amplification, this is based on comprehensive audiological evaluations. We will have a detailed discussion with you and make a recommendation based on many factors including; degree of hearing loss, lifestyle, finances, visual and manual dexterity. 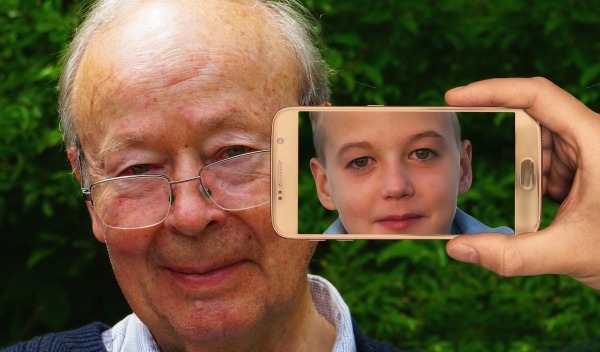 We will make an appropriate recommendation about a style, and appropriate technology level of hearing aids for you to evaluate on a 30-day trial basis, before you are obligated to puchase. We provide a custom fitting using real ear verification to make sure that the way the sound is being delivered to your ear is meeting target gain that is adequate for your hearing loss. This type of measurement also verifies that you are not getting too much amplification and that the hearing aids are programmed at an appropriate level. You can go anywhere to buy a hearing aid.... what makes us special? After our discussion about your hearing health care needs, we make our selection of an appropriate hearing aid system with selection from a manufacturer that we feel has a product that best suits your needs. Because we dispense aids from a variety of manufacturers, we are able to give you a more customized fit instead of a "cookie cutter" approach that you may get if an office/clinic only dispenses from one hearing aid manufacturer. When you purchase a hearing aid from us, you will have peace of mind for 3 years that all of your hearing needs will be taken care of. 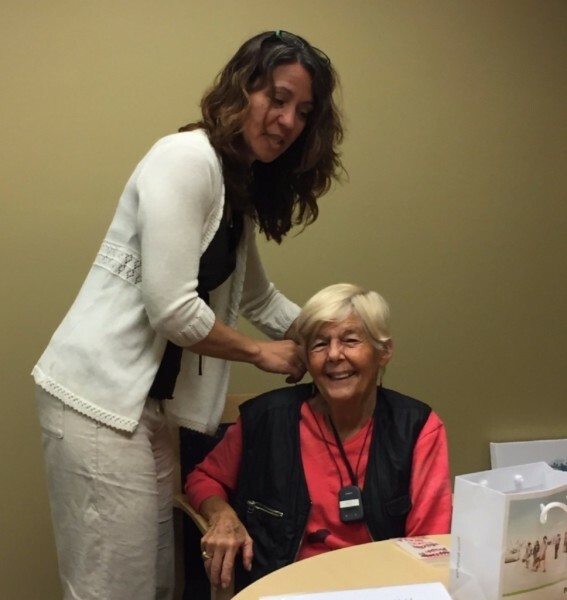 Hearing aids purchased through our office come with three years of programming (adjustments), cleaning and service is povided with each hearing aid purchase along with a 3-year repair warranty, a 3-year loss and damage warranty, and a 1-year supply of batteries. We offer a full range of hearing aid service and repair with many repairs being able to be performed on site. • Adult aural rehabilitation therapy for new cochlear implant users. You may qualify for a free captioned phone, with amplified handset and speaker. Phone calls and voicemail messages can be captioned. This phone is free and regulated by the FCC. To qualify you will need to have access to the internet and a documented hearing loss.